The City is laying a bridge with this architectural icon to connect the long neglected East Village to downtown Calgary. City Hall was built with its back to East Calgary. This new building brings the area back into the fold and celebrates it as a beacon for our bright future as a whole with no area left out. That’s Nenshi building a different legacy for the city. When East Village is completed in 2027 there will be more than 11,000 residents. They will have the RiverWalk, St. Patrick’s Island Park, the National Music Centre and an urban shopping centre to enjoy along with this inspiring gathering place that will be our new Central Calgary Public Library. This isn’t the first time a new library has acted as a beacon of light for our city. 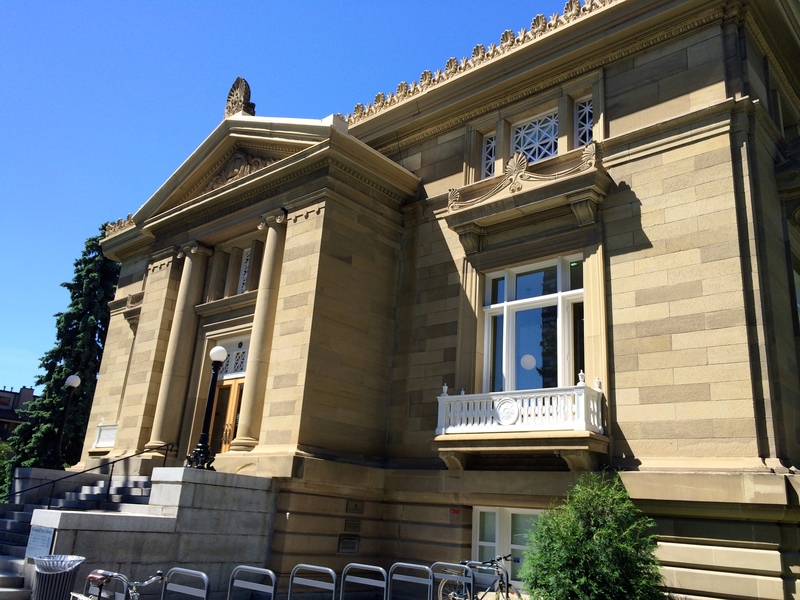 The first library in Calgary at Central Memorial Park was opened in 1912. The Women’s Literacy group of Alberta applied for a building grant from the Andrew Carnegie Foundation. Carnegie had come from nothing in Scotland to become the wealthiest man in the world. He was a firm believer in the ability of learning, books and free libraries in inspiring and lifting humanity to its full potential. He funded over 2500 public libraries in the world and our first library was one of them. That building was built in a feminine Beaux Arts style and raised on a pedestal in honour of the women who got it built. It was Alberta’s first library and brought some balance to our “rough and ready” existence at the time. Central Memorial Library is set in a park, is still open and still very beautiful 100 years later. It’ll be exciting for our children’s children to see what the next 100 years and this new library inspire. And isn’t it right that all this new light is rising from the East…Village. I like these two libraries. They are beautiful bookends in our city’s history. Libraries truly shed light and help us savour it all.